Along with the UK's cyberbullying guidance for schools, I've been working hard getting a new site ready for Childnet International - Digizen. The site is targeted at teachers, parents and carers who are interested in understanding and supporting children and young people's online social participation. The site went live on Friday morning, and I've got to say I'm more than delighted with how it's turned out - huge thanks to new media company ContraPositive for getting the vision for the site look and feel down from the bunch of emails, conversations and web links we threw at them. It's a unashamedly perpetual beta project, and has been designed around three initial areas. The project is designed to investigate how distributed/web 2.0 networks can and are being used to support personalised formal and informal learning by and for young people (11-16). It will identify the opportunities presented by a range of web-based services. The project will also identify the key issues and barriers for the UK schools sector in making use of SNS technologies and practices. The report will address and identify the key child safety, child protection issues and commercial considerations within web 2.0 spaces and look at how risk can be effectively managed. Our cyberbullying area houses the UK government's brand new guidance for schools, as well as supporting resources including an overview of the guidance and a short film and teachers pack, designed to be used in class, assemblies or for parents evenings. 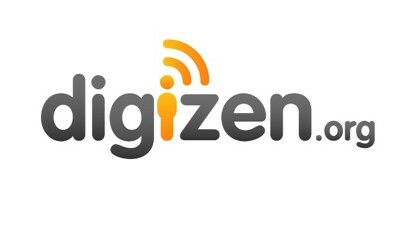 Please take a look around the site - if you like what you see, please help us to publicise Digizen as much as possible - by talking about it, sharing the address or posting about it on your own blog or school website. There's loads more arriving on site between now and Christmas, so either check back or subscribe to our web feed for updates.